Movie Pictorial, Chicago, September 19, 1914. After the Battle of Marne. AT THE BATTLE OF MARNE. 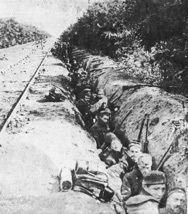 & Entrenched Belgian soldiers guarding railroad tracks. 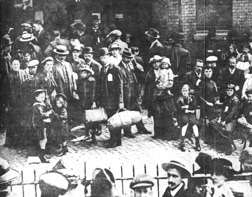 Driven From their homes – Belgian refugees in London. LATEST PICTURES FROM THE SEAT OF WAR. of multi-reels and increased the demand for good comedies. 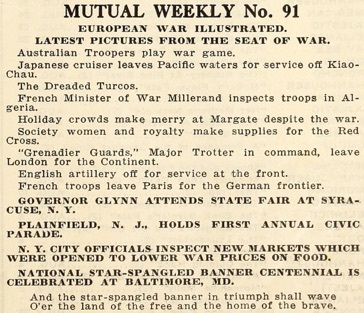 released by Keystone Feb. 16, 1914. Charles Chaplin had no part in that comedy. Those Love Pangs is released by Keystone October 10, 1914.